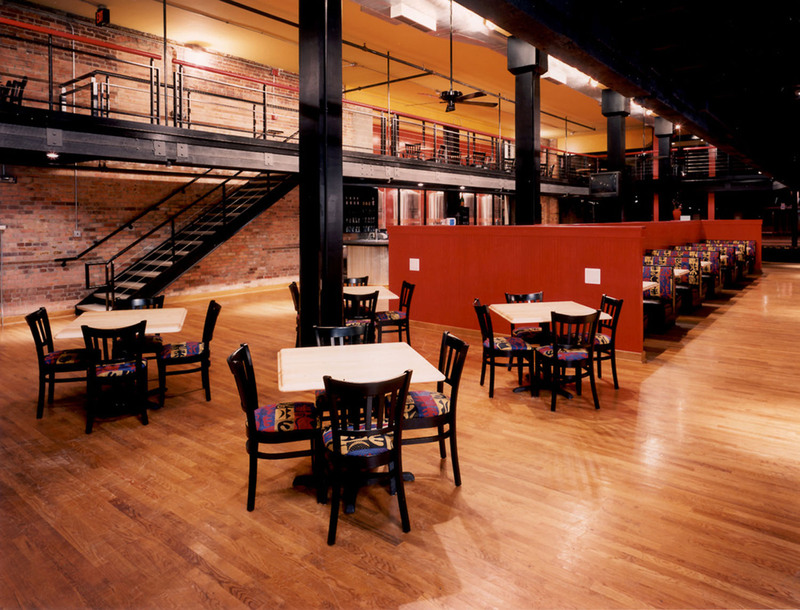 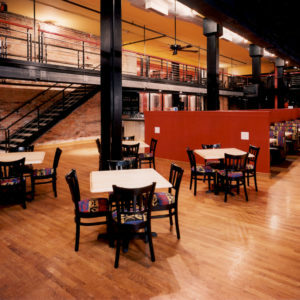 The re-use of the original building provides unique dining experience by uncovering the original shell with a suspended mezzanine and creating a collage of natural materials and new elements along with the “tools” necessary in the brewing process. 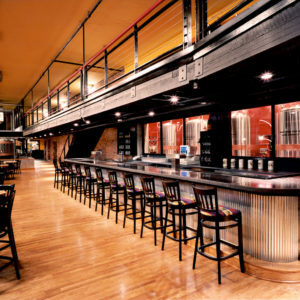 A glass brewhouse is the focal centerpiece and is overlooked mezzanine that captures interesting views of the bar area, storage tanks and outdoor patio below. 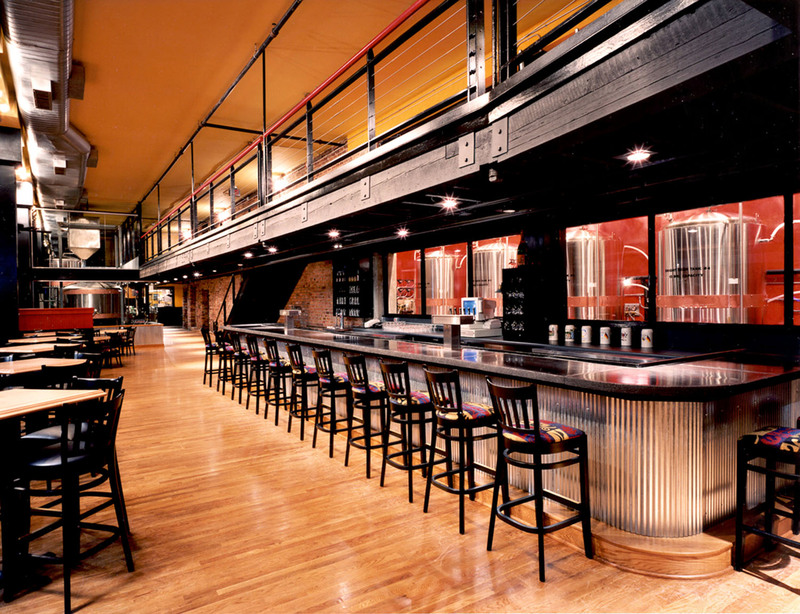 Huske Hardware House Brewing Company is an interior re-use of the original 1903 Huske Hardware Store.